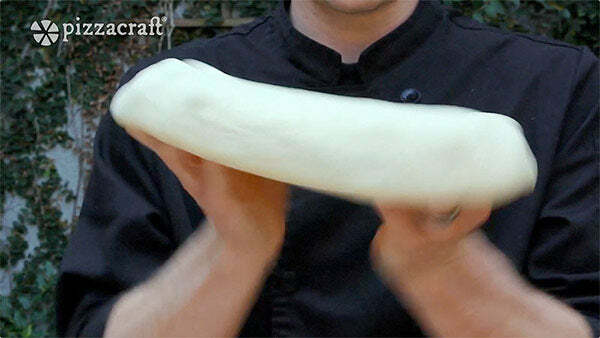 For most of you at home, hand-stretching your own pizza dough can be a very intimidating process. Over the 12 years that I worked in the pizza industry I learned a few tips and tricks I thought I’d pass along to help the learning process. In this blog, I’ll discuss the three techniques used when stretching pizza dough by hand. I’ll also give a few tips on what not to do when handling your dough. Proofing is the starting point of all dough intended to be used to make a pizza. We’re not talking about reading the dough or checking for errors… "proofing" is simply removing the dough from refrigeration 2 - 4 hours before use. Your dough should be allowed to rest at room temperature covered with plastic wrap so that it doesn’t dry out. It makes things a little easier if you lightly oil either the dough or the wrap before it’s covered. Grab a meat mallet and wind up like you’re about to play whack-a-mole… then put the mallet down and tell everyone “Just kidding!” Seriously, pounding takes some practice. "Pounding" is using your fingers to press the dough into a flat disc, preparing it to be stretched. I use three fingers on each hand, but if it feels better, use four. Start ½’’ to ¼’’ in from the edge of the dough ball to form the “crust” of the pizza. Make two passes around the circumference of the ball, between the crust and the center. Once you’ve made two passes go ahead and make one more, this time passing through the center of the dough ball. Flip your dough to the other side and repeat the process from the beginning. Stretching is perhaps the most self-explanatory part of the whole process. Here we’re trying to get the dough to our desired diameter so that we can add our sauce, cheese, and toppings. Once you’ve completed pounding the dough, it’s time to pick it up and drape it over the back of your hands, knuckles bent inward (so you don’t poke a hole with your fingers). From here, gently pull outward with each hand and give a slight toss rotating the pizza around and stretching at the same time. If you’d like to see how you've done, hold your dough up to the light and check for thin and thick spots. If your pizza dough isn't stretching easily, it may need more time to rest. Put the dough down for 15 minutes, let it rest, and try again. Hand stretching your dough takes practice, don’t give up! Once you've learned, you can impress all your friends and family. Make a little extra dough just to practice. 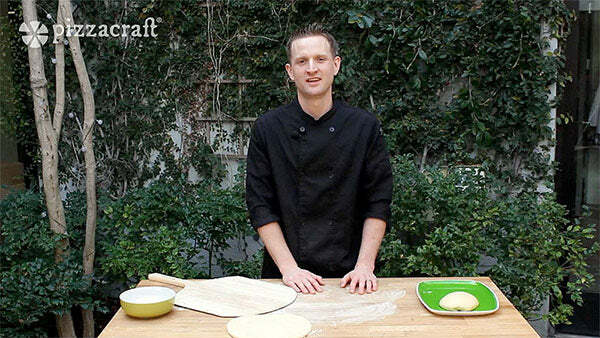 For a detailed demonstration on prepping dough and transferring the crust from the pizza peel into your pizza oven - check out Nick's video on our YouTube channel.